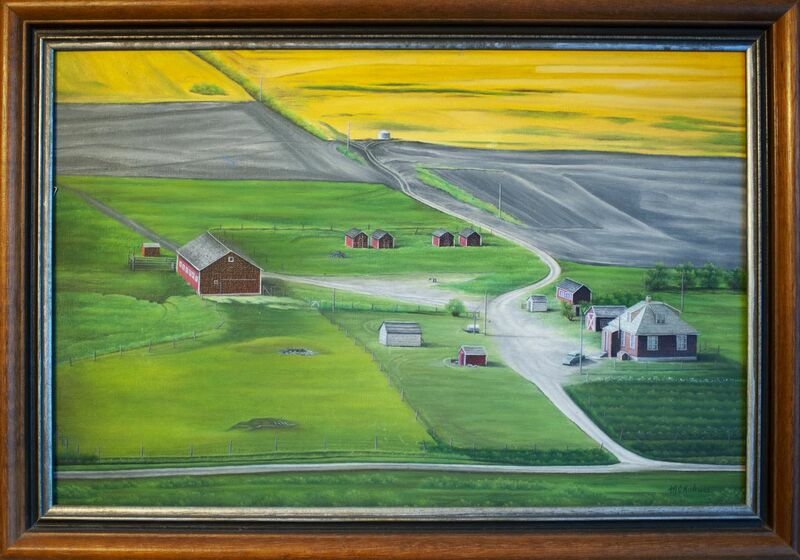 On the wall of Gord and Nora Will's home in Mortlach, Sask., hangs a painting of the family farm by Margarete Caroline Kukura. Joanne Will is a journalist based on Vancouver Island. She has been a regular contributor to The Globe and Mail since 2009. In 2014, she was a Knight-Wallace Journalism Fellow at the University of Michigan. The author's stepfather, Gord Will, and her mother, Nora, will stay in the Mortlach area and lease out to farmers they know when Gord retires. My stepfather is not the last farmer, but he represents the last of a certain type. The family farm is disappearing. When you think of farming, you may well picture the industrial-scale factories and megafarms that produce the lion’s share of what you’ll find for sale at your local supermarket. Or you may think of the truly small-scale operations whose proprietors sell their hand-picked wares at farmers’ markets. But in fact, there’s another size of operation, one that sits in the middle of those two extremes. Owned and operated by families firmly linked to the local community, medium-sized family farms are big enough to supply significantly more food than the vendors you’ll meet at those Saturday-morning booths staffed by a farmer who operates an acre or two. And yet they manage to be much better for the land, for rural communities and, I’d argue, for the health of Canada, than are outfits run by large corporations or land-owning investors who either hire their own managers or lease out their land to those who work it. My stepfather’s final harvest has reminded me that the family farm is home to one of the most important and noble jobs on the planet – one that involves working with one’s neighbours and with the land, all in the name of feeding a lot of people you will likely never meet face to face. When families own the land, that is what they do. The loss of any family farm is, in my eyes, nothing less than a tragedy. For all of us. 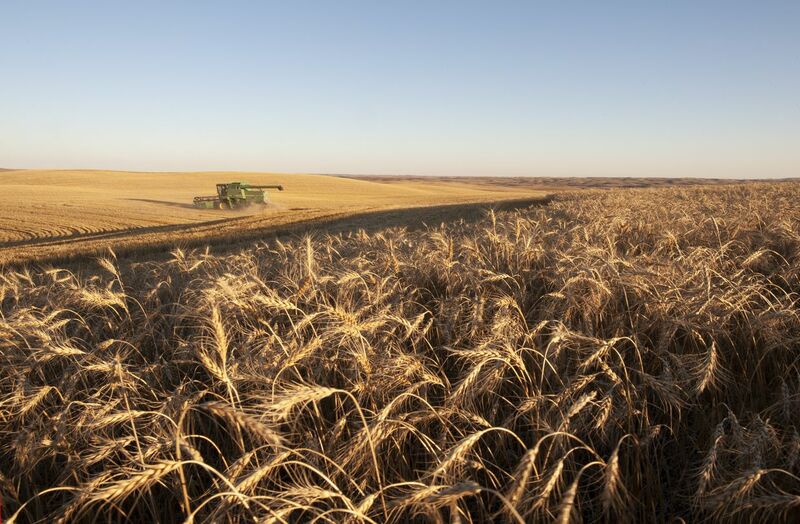 Gord Will harvests wheat on his land in the gently undulating Coteau Hills of Saskatchewan. Mr. Will planted his first crop in 1965, just after he graduated from high school. Gord is a wellspring of information and of history that originates long before his birth, and that was passed on by elder farmers in fields and coffee shops, in grain-elevator lineups and at farm-supply stores and community gatherings. Such history was also transmitted at home, by his father, James Will, who emigrated to Saskatchewan from Scotland in 1921 at the age of 19. My mother, Nora, moved to Mortlach while I was a toddler, in the late 1970s, after she and Gord married. A 30-minute drive west of Moose Jaw, this is where they had three more children: twin girls and a son. Although Gord grew up on what we call “the home farm” – the three quarter-sections of land south of Mortlach that his father bought after working for several years at a nearby ranch – our family always lived in the village (current population 261) in view of the K-to-12 school. When Gord and my mother started their family, things were booming. 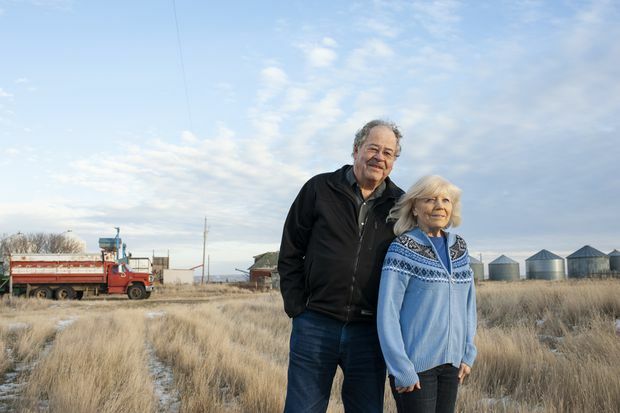 They paid cash for the house they built in 1978, and worked hard to acquire more farmland and the tools needed to work it. I remember well the fall of 1983 and the arrival of Gord’s first four-wheel-drive tractor. Back then, he always had a full-time hired hand from spring until fall, through the busy seeding and harvest seasons. At harvest time itself, an assortment of other help would show up: relatives whose jobs were far from the land, and a farming friend and neighbour or two who had finished their own work. Everyone pitched in before the frost and snow arrived. My mother would make dinner for the crew. Along with pots of meat and vegetables, Thermoses of steaming tea and coffee, trays of pies and other desserts, she’d pack us kids in the car, a dust trail following us down the gravel roads to the field being worked that day. It was our nightly ritual from late August to early November. Then came the one-two punch of sharply rising interest rates and plunging commodity prices. Inflation-fighting rates that soared to nearly 22 per cent in 1981 stubbornly remained in the double digits for the best part of a decade, making land-mortgage payments hugely difficult, and sometimes impossible, to meet. 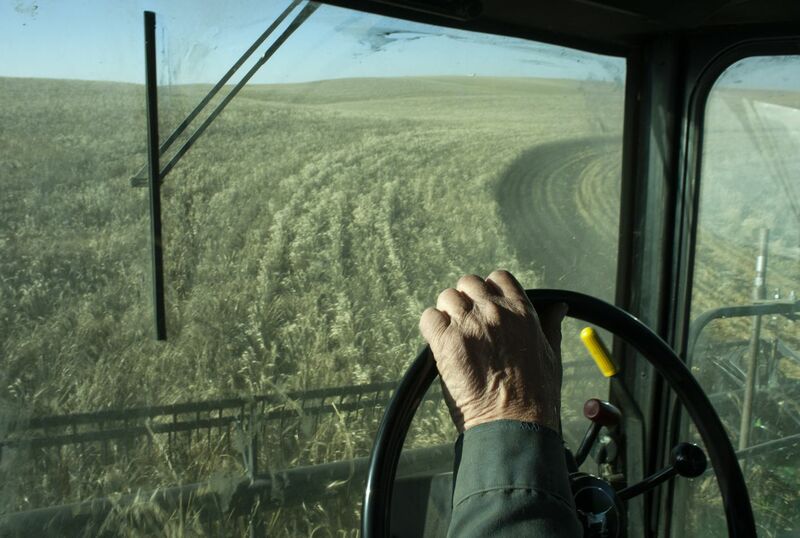 By the summer of 1986, meanwhile, the price of wheat – the dominant crop then grown in the Prairies – dropped by more than 50 per cent from where it had stood in the fall of 1980. And as if those economic demons were not trouble enough, a drought rivalling that of the Great Depression descended on the Prairie provinces in the early eighties. Although it let up for a spell mid-decade, it came roaring back in 1987 and held firm through ’89, packing its hardest punch in 1988, the single driest year in two decades. In 1988, roughly 10 per cent of farm workers left agriculture. Crops were so poor – virtually non-existent in some areas – that Gord didn’t even take his combine out of the Quonset hut. 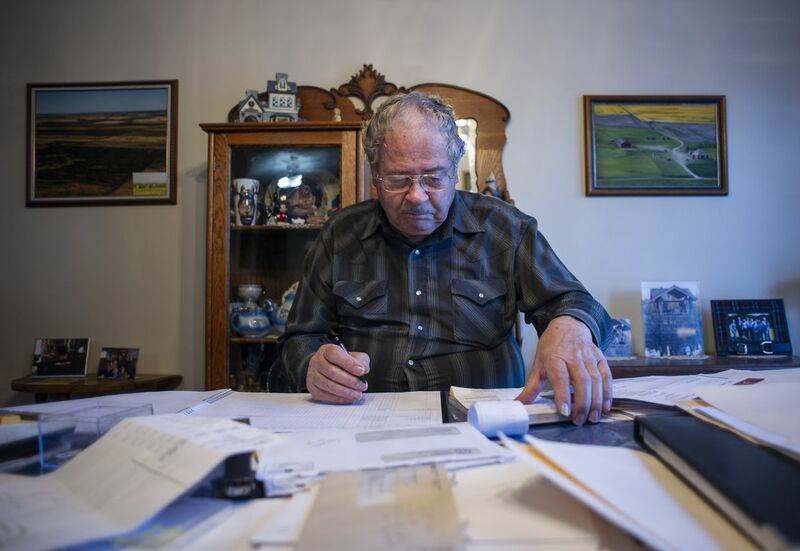 That fall and winter, he had to find work elsewhere to support our family and farm: He left for the oil rigs on the Saskatchewan-Alberta border, returning just in time to join Christmas dinner with the extended family in Moose Jaw. As with the Depression of the thirties, the recession of the 1980s eventually ended; but it was long enough that many farmers had to let go of precious land for which high mortgage payments had become untenable. Land prices plummeted; it would be more than 20 years before they fully bounced back. And there were new challenges to come. For those who survived, such as Gord, the industrial revolution of farming began to really take off: more mechanization, more chemicals, ever more costly equipment, constant consolidation. The pressure built, in the mantra of the time, to “get big or get out.” On some levels, this created efficiencies. But on many others, something important was lost. Just as Gord didn’t foresee the downturn of the 1980s, we four children never envisioned, from within the landscape of our youth, the realities of agriculture today: sky-high land prices; farms comprising many thousands of acres; an explosion of technology, including tractors with GPS and automated steering; and maximum farm-credit loans reaching sky-high levels. The most recent Canadian Census of Agriculture, in 2016, tells much of the story. Between 2011 and 2016, the value of all farm machinery and equipment, owned and leased, increased more than 15 per cent, to $54-billion. Agricultural land and buildings increased in value by more than a third, to $428-billion. In the same period, the total value of the largest category of tractors grew a stunning 50 per cent, to $9.4-billion, accounting for more than half the value of all tractors. Farming has become a case of survival of the fittest. Or more accurately, the biggest. One result of this relentless shift: Fewer farmers are “required.” In 2016, 193,492 agricultural operations were counted nationwide, down roughly 6 per cent from 2011, while the size of farms (once again) increased. It is, in many ways, an old story. In Saskatchewan alone, between 1911 and 2016, the number of farms dropped by 64 per cent, even as the amount of total farmland more than doubled. And over that century, the size of the average farm sextupled – from 295 acres to 1,784 acres. And where will it end? “One day, and it’s not too far off, there won’t be any people out there farming the land,” Gord predicts. “In some ways, I’m glad I’m finishing before that happens.” This isn’t science fiction: Small autonomous tractors, just like driverless cars, are already being introduced at agricultural shows. As a country, we’re the world’s fifth-largest exporter of agricultural commodities – even as fewer than 1 per cent of us operate farms. But a robot driven solely by the corporate profit motive cannot smell the soil it is tilling. It does not feel in its very core the need to preserve that soil for future generations. And the only meal it presents you with is one produced at the lowest possible cost, using the cheapest possible inputs, grown on industrial-sized fields. Your health, and the health of the community in which you live, will not be the driver of this kind of food production. The stock market, with its eye on instant gratification for investors, will be. Mr. Will does the books at his dining-room table. The Kukura painting of the family farm hangs on the wall behind him. 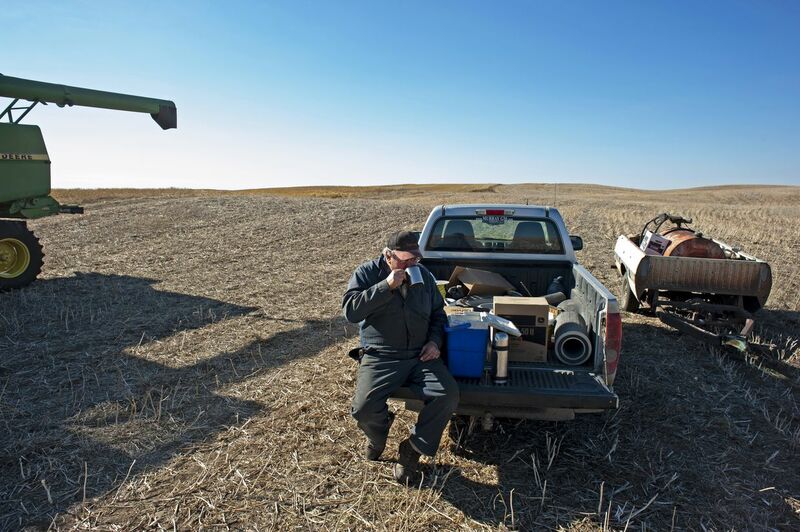 The average Canadian farmer is 55 years old. The next generation, those under 35, represent fewer than 10 per cent of farmers. And the future for them does not look bright. Only one in 12 farms nationally has a formal succession plan. 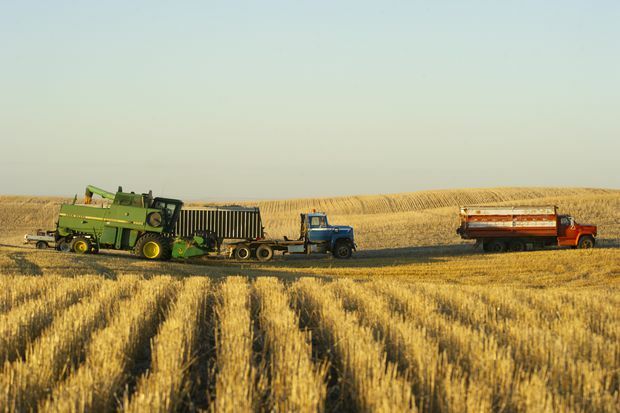 Saskatchewan – the province with the largest area of field crops, the largest average farm size and the most (relatively) affordable land – is a microcosm of what’s occurring in the rest of the country. The average value of land and buildings in the province (about $1,200 an acre) increased 76 per cent from 2011 to 2016. And yet, that’s still less than half the national average (almost $2,700 an acre), which increased close to 40 per cent over the same period. At today’s prices, apart from taking over an existing family operation – itself a daunting prospect, given the competitive pressures kindled and stoked by Big Agribusiness – how can a new farmer ever afford to get started? Gord’s first tractor, a used model, cost $1,700. His next, also second-hand, was $7,500. His third, a brand-new 1976 model, was $17,000 when he ordered it; due to high demand, by the time it arrived at the dealership, the price had shot to $22,000. Sound like a lot? Today a new combine can run up to $750,000. Altogether, a combine, seeder, tractor and sprayer can run from $1.5-million to $2-million and even higher. Interest rates are relatively low these days. But what happens if you’re highly leveraged and rates go up, as they did in the 1980s? “You’d pretty much have to turn and run,” Gord says. But grain prices have not kept pace with the increasing costs of production. The price of wheat is roughly the same today as it was in 1980. In addition to weather, farmers are at the mercy of world markets and a system of transportation over which they have no control. To make matters worse, the farmer’s share of the food dollar has sharply declined. To afford the inputs and equipment “required” to farm, you need to produce a lot. And to do that, you need to cover a lot of land. On balance in Canada, we don’t have anything approaching the level of subsidies that European and American farmers receive. In fact here, it seems, farmers themselves subsidize agriculture: More than one-third of Saskatchewan farmers depend on a second, non-farm job for extra income. And still they struggle to balance the books. Farm cash receipts doubled between 1996 and 2016 – but farm debt increased 3.5 times. In 1996, cash receipts exceeded the debt load, but in 2016, that reality had reversed itself: Farm debt exceeded cash receipts by a factor of 1.6. Today, even as I ardently assert the importance of the Canadian family farm, I’m the first to admit that I’m in no position to take over ours. Nor are my siblings. Today, he runs through staggering numbers as he outlines the money he’d need to run the family farm. And those numbers do not add up to anything he could feasibly manage. Family farming is in our blood, but our wallets tell us to turn the other way. Mr. Will warms up his tractor before augering grain into his bins. Mr. Will breaks for lunch. In 1986, just 2 per cent of farmland in Canada was rented. Today, more than a third of all agricultural operations rent or lease some of the land they work. Among Canadian farmers under the age of 35, half of the land they tend is rented. On the one hand, we have absentee landlords; on the other, the farmers who are, effectively, their employees, even when they live on the land. In the world of family farmers such as Gord, a “good” farmer works to be sustainable – not only financially, but ecologically: You must look after the land, the future health and viability of your soil. But in the world of corporate agriculture, farms get worked to within an inch of their life. When we see only the bottom line, we lose sight of the need to nurture the land. And to nurture, as well, human relationships, and the accompanying human values, that are tied to the land: those involving our family, our neighbours and their families, and the broader community – all the things that ownership, and a local multiplicity of family-sized farms, have long led to. I’m not arguing for a wholesale return to the old days of back-breaking work unaided by technological advances, but rather for a renewed awareness of our collective future – one that includes incorporating values of stewardship, both for the land and for the culture of community that family farms nurture. Large-scale farming has a place in this future, but we must weigh its costs against its benefits. In Gord’s youth, the village of Mortlach had an array of businesses, including a butcher, two grocery stores, three implement shops, a livery and a lumber yard. At one time, the village even had two banks and a weekly newspaper. There were also five grain elevators. Today, just one stands – and it’s closed. All the grain in the surrounding area is trucked to Moose Jaw, consolidated in four “high-throughput” elevators, the newest of which can fill up to 147 grain cars in a single day. In 1964, when Gord graduated from Mortlach’s only school, it was home to more than 300 students. “Remember when we attended in the eighties and early nineties?” my sister Janice asked me a while back. “There were eight buses sitting out front of the school each day.” Now, says Janice, who lives in the area and whose boys go to school there, “there’s just three.” With only 75 students from kindergarten to Grade 12, there are no longer enough kids to form viable sports teams. Another tradition, and all that comes with it, is lost. Or consider this: Our family has always called each piece of land by the name of its previous owner – Harley’s, Percy’s, Nicholson’s. Some of these people have been gone now for many decades. But Gord still carries the history and knowledge of the peculiarities of each parcel that those families passed on. We’ll be the last generation who can name those fields, my brother reminds me. And then he asks me: Who will remember, protect or even appreciate the ancient tepee ring and buffalo jump that border the Coteau Hills field, just a few kilometres from our home farm, that we so love? So, maybe it’s time to take a step back from the treadmill – call it big, call it industrial, call it what you will – that is farming today. Besides, he points out, when times get tough – and at some point, he notes, they always do – what’s even nicer than not having to repair older equipment is not having huge payments for new equipment hanging over your head. Gord intends to practise what he preaches: He and Nora will remain in the area, and rent out their land to farmers they know and trust. They will not be absentee landlords, and intend to keep a close connection with the farm, and those tending it. And, it’s too early to say for certain, but there is hope that some of my stepfather’s knowledge and experience may come in handy to some of his grandchildren. My sister Janelle and her husband, Larry, live near Saskatoon, on the site where his great-grandfather homesteaded in 1901. Janelle works in the city, and, in addition to farming, Larry runs a landscaping company. They’ve purchased some fertile land, on which they grow peas, oats and canola, and raise cattle, a few Berkshire pigs and heritage chickens – all of which are cared for with the help of their two young boys. 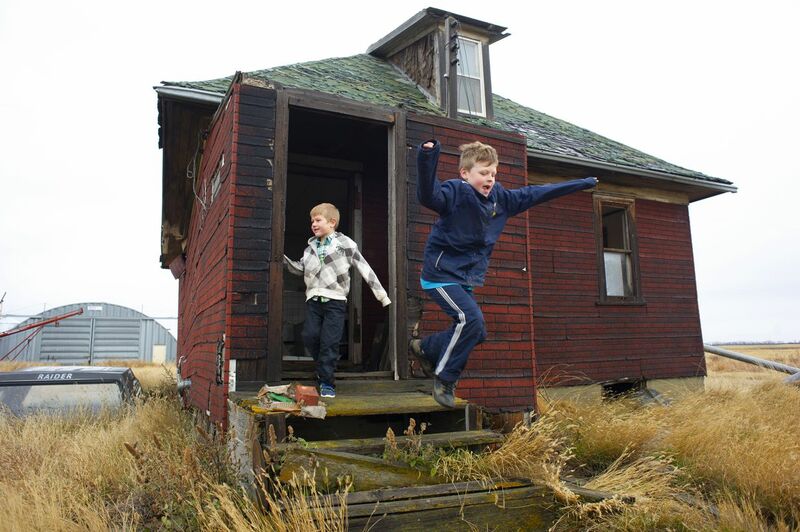 While my sister and brother-in-law have encouraged their children to go to college, the boys are already asking: If everyone leaves the farm, who will be left to look after the animals and the land? There is also the kind of education that we consumers can undertake for ourselves. We need to learn more about our food, where it comes from, who makes it, how healthy it is and how healthy the community that created it is. And we need to learn that convenience comes at a cost – that, for instance, farmers typically make pennies on the dollar for what we buy at our local grocery megastore. Certainly, many of us can afford to pay more: In 2017, Canadians spent only 11 per cent of their household income on food, among the lowest of any country in the world. And all of us, even those living in cities, need to start supporting policies that help the family farm. Some of those policies are financial (for example, reducing the tax burden on existing and inherited farms). Some are environmental (everything from maintaining soil fertility to weaning food producers off expensive chemical inputs that aren’t absolutely necessary). Some are educational (as simple, say, as sponsoring field trips in our local schools to teach kids where good food comes from). Finally, farmers can help themselves by exploring new crops, such as organic or heritage grains, and new methods that require less-intensive inputs and that the public is often waiting for with open arms. 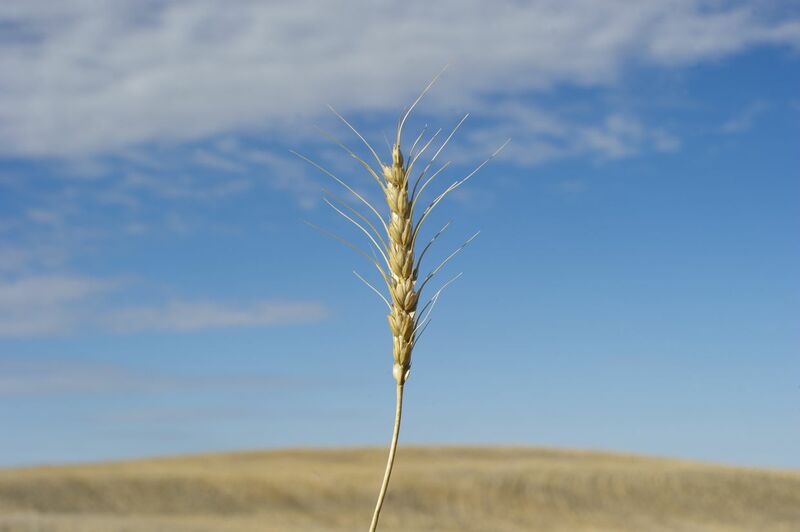 Perennial grains such as Kernza (a wild relative of annual wheat being researched at the universities of Manitoba and Minnesota, and at the Land Institute in Kansas), which require fewer inputs than soil-depleting annual crops, show great promise. On Nov. 4, residents and visitors from surrounding towns gather at the Mortlach Memorial hall for the annual fall supper. 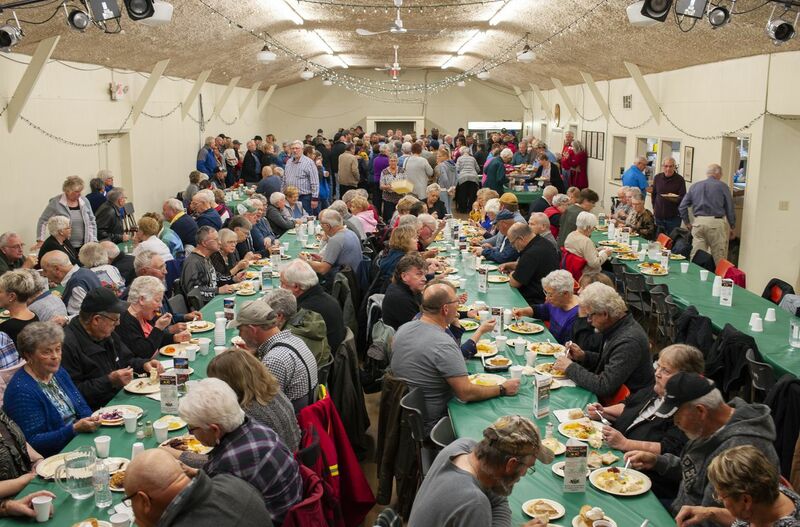 This year, the annual Mortlach Fall Supper, a long-standing community gathering that caps the harvest season, welcomed 360 attendees; that’s 100 more than the population of Mortlach itself. In my youth, the event, held at the village hall, was packed with locals, and pretty much everyone who came was involved in farming. Now, many attendees come from surrounding towns, and even from Moose Jaw. A tradition built around those who owned and worked family farms – and who built an organic community on their way to feeding their fellow Canadians – is becoming a gathering untethered to the land. But not every farming ritual has been lost, at least not quite yet. 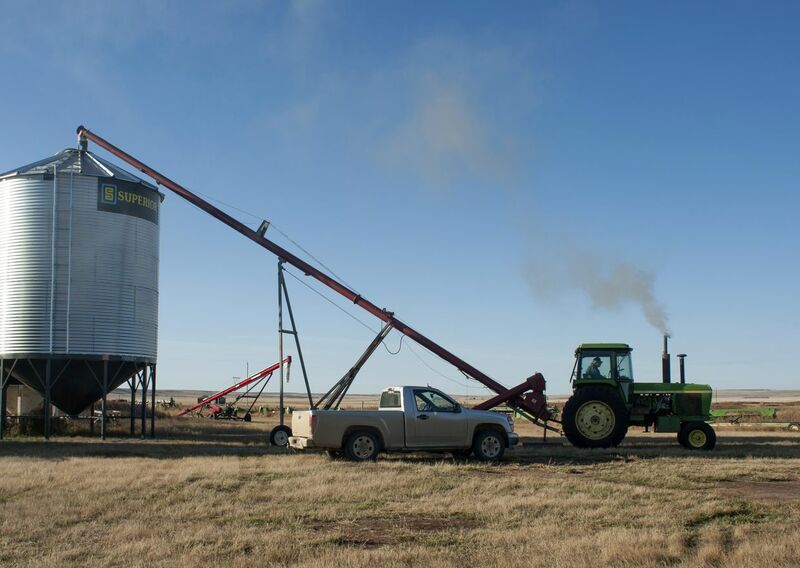 In late October, when Gord was racing to complete the final stretch of his final harvest, 320 acres of Northern Spring wheat, he (along with many other farmers across Saskatchewan and Alberta) was halted for a month by wet weather, including early-season snow. When the sun finally reappeared for a few days, drying the wheat, he was able to resume the harvest, only to face another weather-driven deadline: With four days of combining work still to finish, he had only two days before rain was set to come in again. And his crop would not withstand another downpour. As he raced against time, working late into the night, he called everyone he could think of for assistance – including his former hired man, who had retired. No one was available. Then, at the 11th hour, he got hold of a local father and his two sons who had just completed their own harvest work and were now ready to lend a hand. The next morning, they arrived with two combines and a grain truck, and, together with my stepfather, finished the work in just more than a day. Gord’s last harvest was one for the history books.